Charlotte Dujardin after a test at the Hartpury Festival of Dressage last year. Photo by Sally Newcomb. 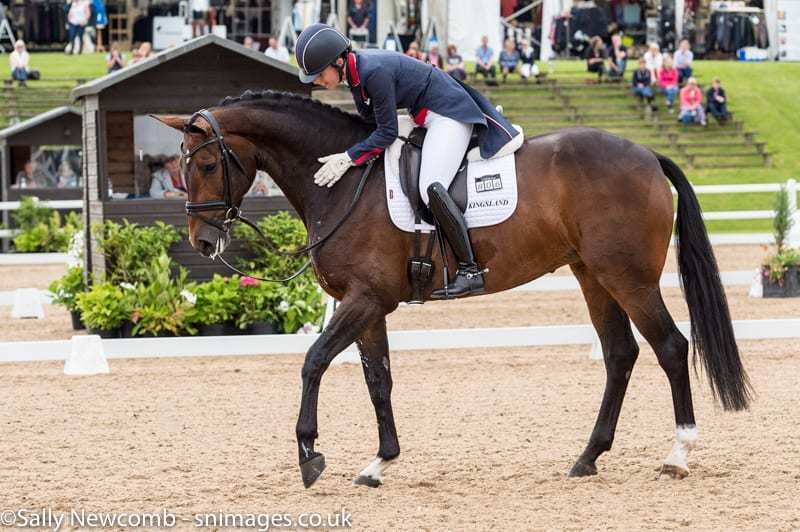 Olympic legend Charlotte Dujardin is set to wow the crowds on each day of the Festival of Dressage at Hartpury with a host of her up-and-coming horses. Running from Wednesday 5th to Sunday 9th July, there are lots of top names set to compete at the festival this year alongside Dujardin, including fellow Olympian Spencer Wilton, Michael Eilberg and local Grand Prix rider Sara Gallop. The five days of outstanding equestrian sport will incorporate Premier League classes, CDI3*, CPEDI3*, Shearwater Young Dressage Horse Semi-Final, British Dressage Young Pony Championship and the Elite Stallions Prix St Georges Young Horse Championship. As always the highlight of the festival the Saturday evening will also feature the NAF Superflex CDI Grand Prix Freestyle, the Elite Stallions British Young Horse Championship and an insight to training from Charlie and Abi Hutton. Both Charlotte Dujardin and her mentor, the master of British dressage Carl Hester, competed at the record-breaking Festival last year, where more than 300 riders from around 19 nations competed in 40 dressage and para-dressage classes. Over 50,000 people from 26 countries tuned in to watch the action on the livestream which is back this year. Tickets for the gala evening are still available and are £16.50 in advance which includes day entry. A hospitality VIP package for the gala evening is available for £60 to include champagne reception and four-course meal overlooking the Hartpury Arena. Day entry is free on July 5th and 6th, or £6 per person on July 7th, 8th and 9th. Under-16s go free on all days, except the gala evening. If you would like to come on the 7th, 8th and 9th, you can buy a combined ticket for the special offer price of £15. Parking is free on all days.